The Legend | Starsway - The unforgettable walk! 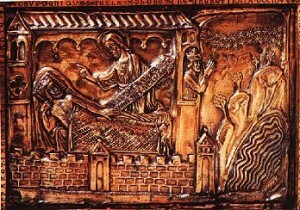 Based on “Historia Karoli Magni et Rotholandi” (History of Charlemagne and Roland), Saint James asked Charlemagne (Charles the Great), at that time King of the Lombards, in one of his dreams, to lead his army to Galicia (by following the stars of the Milky Way), in order to free his tomb from the Saracens. The dream is documented in one of the scenes of the “Karlsshrine” in the Aachen Cathedral. According to ancient belief, the stars of the Milky Way represent the way of the souls and their lights lead the traveller to Paradise, which in medieval times was believed to be found at the end of the terrestial World, in Finisterrae (actual Finisterre, Spain). In fact, Charlemagne never made it to Finisterre, he crossed the Pyrenees, conquered Pamplona but was defeated in Zaragoza (Saragossa) which was ruled by the Muslims and who forced him to retreat. On his way back over the Pyrenees, at Roncevaux (Roncesvalles) Pass , his rear guard, commanded by Roland, the prefect of the Breton March, was defeated by the Basques. Over the years, Roland became a heroe and his death inspired the oldest surviving major work of French literature, the “Song of Roland”. 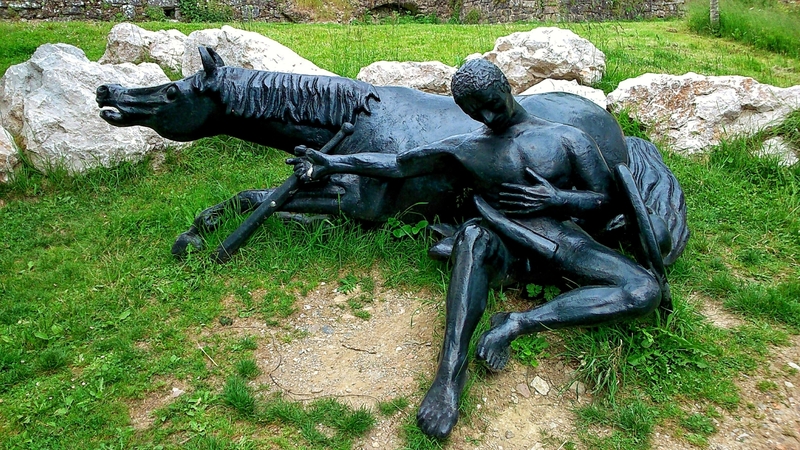 A black statue, at the entrance of Roncesvalles remembers this historic battle.